The 2019 Bulletin is now available, including results and reports for the Shield, League and Cup competitions. Presentation of trophies will be held in Leinster Cricket Club on Saturday 27th April 8pm. Sandwiches will be provided and there will be no charge on the night. All perpetual trophies should be returned to Dublin Trophies as soon as possible. Dublin Trophies is located at 111 Marlborough Street, Dublin 1 (over Billiards Shop facing the Abbey Theatre). Entrance to shop is in the laneway beside the Billiards Shop. Players and club secretaries should read the following files regarding affiliation fees for 2019. 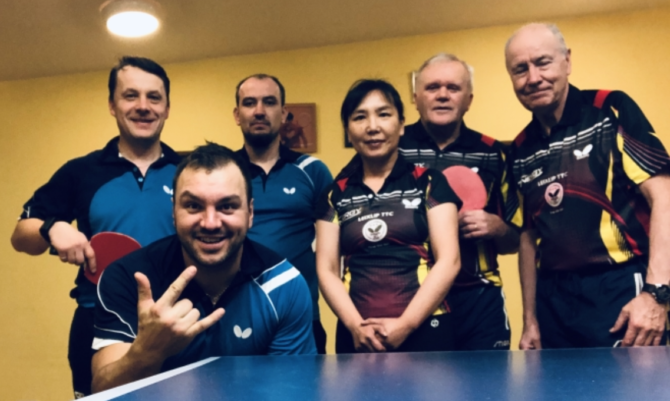 At the AGM of the Leinster Table Tennis League held on the 11th September 2018 it was agreed that the League would collect the TTI Affiliation fees for 2019 (January to December). This means that all League players do not have to register on the TTI GoMembership on their website. Affiliations fees were required to be paid before the League starts this week. If they have not been paid yet, make sure they are paid as soon as possible. The Shield Bulletin for the 2018/19 is now available. The Bulletin includes the final team and individual standings for each group, as well as report from each group steward. Well done to all the winning teams and players. The Application forms for submitting teams for the 2018 / 2019 season are now available. The application forms have been posted out to each club secretary. The closing date for submitting teams is Monday 1st October. The 2017/18 League Bulletin is now available, with the final standings and a steward’s report for each division. Click here to open the bulletin. Well done to all the winning teams and players. The end of season presentation night takes place in Leinster cricket club, on Saturday 28th April. Any perpetual trophies won last year should be returned to Dublin Trophies as soon as possible. The exact matches for each night will be decided after the semi-finals. The 2017 Shield Bulletin is now available: Click here to open the bulletin. The bulletin includes the team and individual standings for each group. There is also a report by each steward. Well done to all the winning teams and players. The next competition, the League, starts the week commencing the 8th January. The complete 2016/17 League Bulletin is now available. Well done to all the winning teams and players. The Presentation Night will be in Leinster Club on Friday 5th May. All teams captains should ensure league and cup trophies are returned to Dublin Trophies as soon as possible. The original deadline of Friday 30th September 2016 has been extended. Application forms must now be returned completed on or before Monday 3rd October. There will be no fixture meeting for the shield so will all captains arrange their own fixtures either by phone or e-mail and forward them on to the relevant steward before the Shield commences. This includes a steward’s report for each group, and the final team and individual standings. Please note, that a correction has been made for the team standings in the Group 1 Shield.